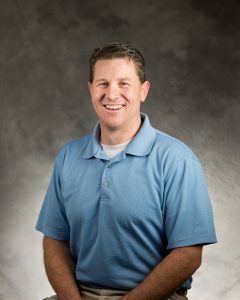 Brady has been a physical therapist in the Eagle and Gypsum communities for over 16 years. He has spent much of his time advancing his skills in manual therapy techniques and has a specialization as a Certified Manual Therapist. His care focuses on shoulder, spine, knee rehabilitation and ergonomic assessment. Brady has participated in multiple presentations to the community and as guest lecturer to the Sports Physiology class at Eagle Valley High School. Brady is currently on the Axis Board of Directors and is the Eagle and Gypsum Clinic Director. He enjoys skiing, mountain biking and coaching football. Brady is married to Carly Baker and has two children, Carter and Anastacia. His favorite ice cream is Espresso, he likes to collect old American coins and loves visiting Telluride, his favorite place in Colorado.